Electrochemical or chemical etching of Si to create nanoporous Si or arrays of Si nanowires. These complex nanomaterials are made available in different form factors to provide new building blocks that facilitate research in material science, energy storage and energy conversion, sensing and separation, life science and many other areas. Nanoporous AAO wafers and films with conformal ALD coatings on the pore walls. 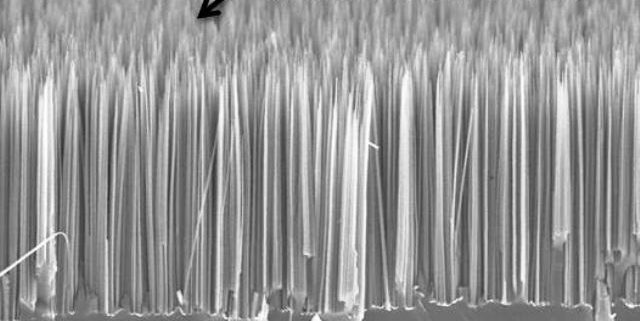 Arrays of vertically aligned Si nanowires prepared by metal-assisted chemical etching.